Cyclear™, Caution Worker Boards and Reversing Radar from vehicle safety technology company Innovative Safety Systems Ltd (ISS) are being installed to waste and recycling vehicles belonging to Amey, one of the UK’s leading public service providers. 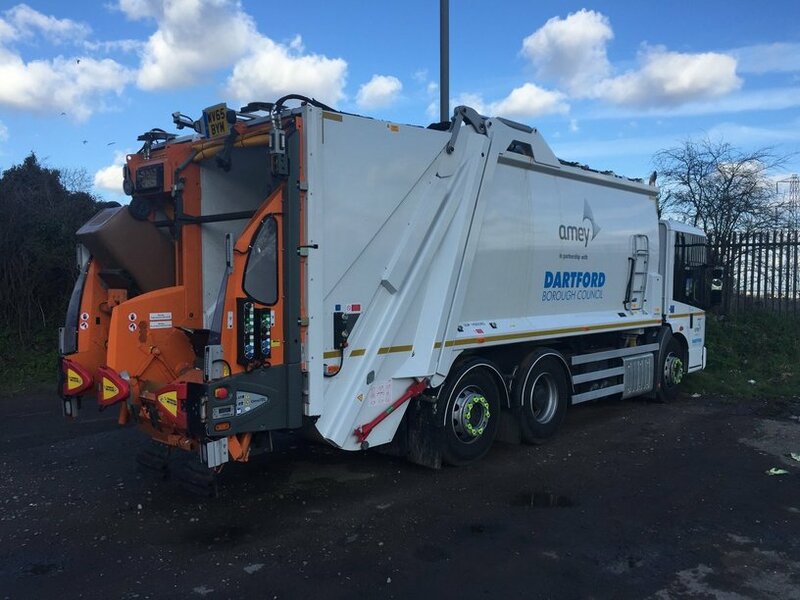 Amey has 12 Refuse Collection Vehicles (RCV’s) operating in Dartford that are already fully equipped with ISS safety equipment and the company is specifying the same equipment for its latest proposed order of 70 new RCV’s due to work in locations nationwide. The Cyclear™ warning display system can be fitted to a wide range of HGV’s to alert cyclists and other vulnerable road users when a vehicle is planning to turn left, a manoeuvre that is a major cause of cycling injury across the UK. Cyclear™ works in stages. A left hand indication from the driver triggers an internationally recognised sign on the rear of the vehicle to illuminate along with an audible “Caution Vehicle Turning Left” sounded to alert cyclists and pedestrians of the driver’s intended left turn. At the same time an intelligent sensor system mounted along the nearside of the vehicle will alert the driver if a cyclist chooses to undertake the vehicle into their blind spot.